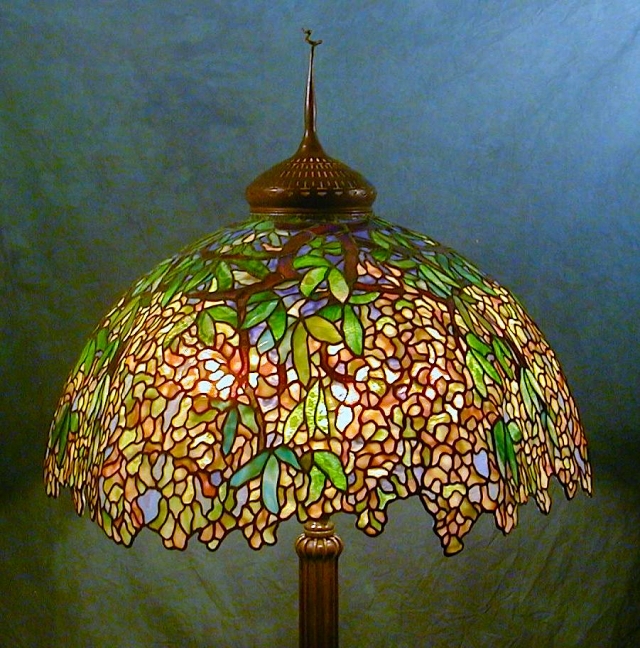 The 28″ Laburnum is one of the largest Tiffany shades we create. 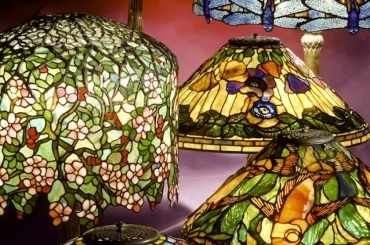 With over 2000 individual pieces of glass, it is also one of the most time consuming shades to produce. The Laburnum has an irregular lower edge, lending an air of naturalism to the piece. Richly mottled yellow and gold tones are skillfully combined with lively greens against a light blue sky. This lush shade was commissioned in 2003 by a Midwest client for use as a floor lamp. The 28″ Laburnum also makes a stunning chandelier fixture.